I love this time of year! Looking back on all the games I played over the last year is always fun and nostalgic, and I’ve made this process easier for myself the past two years by keeping a Google doc of everything I’ve finished. Let’s get right to it. 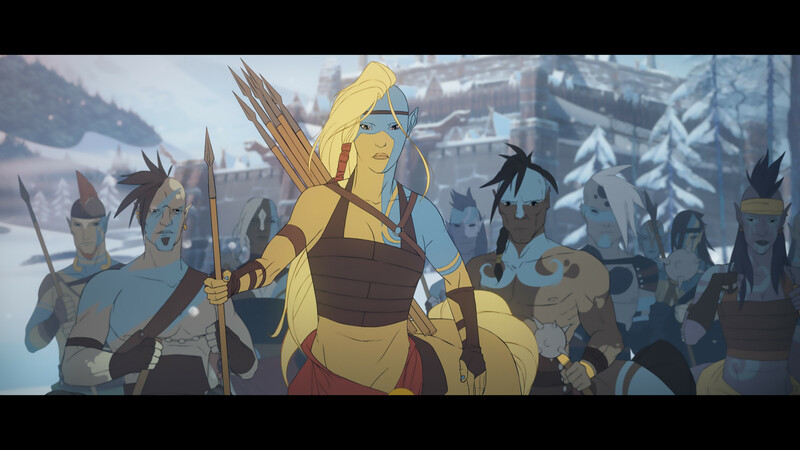 I eagerly awaited The Banner Saga 2 from the moment I finished the first game, and it did not disappoint. The art, story, music, and characters were just as wonderful. There’s even more of a sense of dread this time around, which is impressive considering how dire events became in the first game. 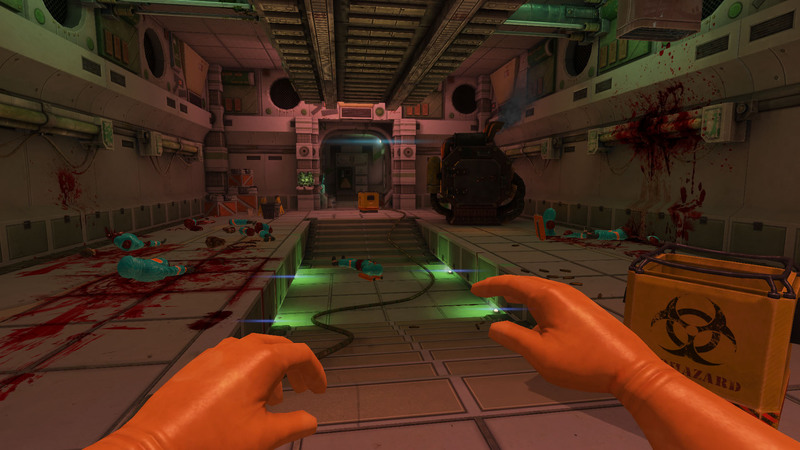 The battle system was updated between the first and second game, adding some conveniences. I am continually impressed by this series, and I’m counting the days until the conclusion to the trilogy. Stoic Studio is a wonderful small company, and they’re going to tell awesome stories in the years to come. I got the urge to play again just writing this entry! Read my review here and get the game on Steam, GOG, Humble, Xbox One, PS4, the App Store, or Google Play. The Slaughter was an unexpected surprise this year. 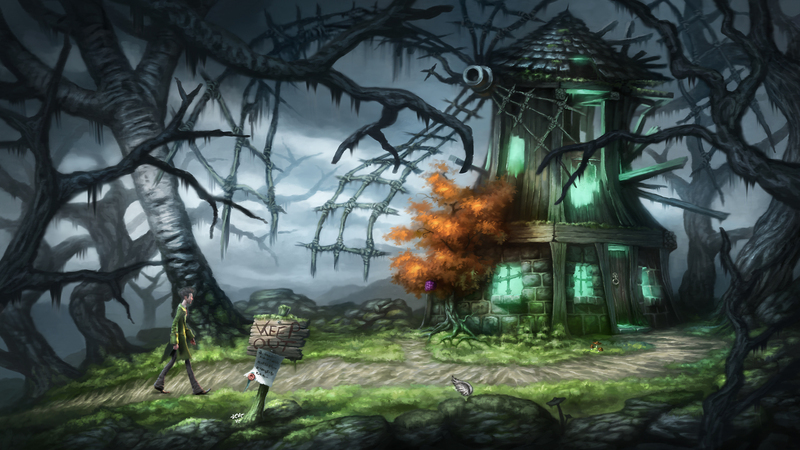 This Kickstarted adventure game was completely created by Alex Francois, and it’s a tightly-knit, smartly plotted experience. I really loved everything about it, and for a horror game you’re also getting a lot of humor to make your experience a bit less grim. You also feel like you’re really making connections with the characters as you attempt to solve the mystery. There are a lot of small, thoughtful details that add up and make this a standout. Bring on act two! Read my review here and get the game on the official site, Steam, Humble, or App Store. 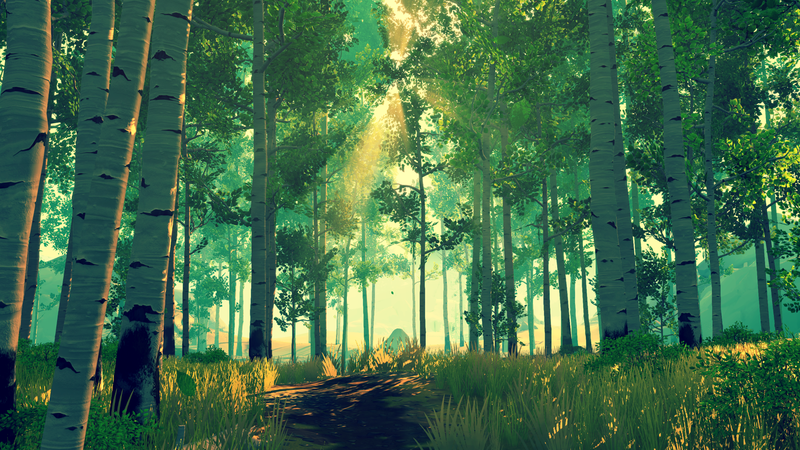 Firewatch is easily one of the most beautiful games I’ve played. I often found myself stopping to look around and take in the scenery. It really makes you feel like you’re there, hiking the same paths as Henry. Having to physically navigate with a map and compass contributes to this feeling of absolute immersion, as did taking pictures with an in-game camera. And those crepuscular rays! Olly Moss, Jane Ng, and the rest of the art team are incredibly talented, and I can’t wait to explore future worlds from them. Read my review here and get the game on Steam, GOG, PS4, or Xbox One. 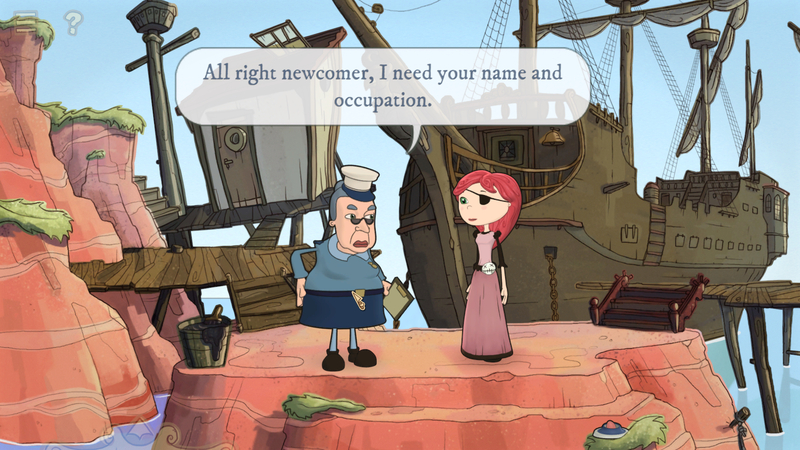 I’m always a bit wary whenever I start a new adventure game. It’s one of my favorite genres, but it also has the potential to be one of the most frustrating. Heaven’s Hope was another surprise this year: I’d never heard that it was coming out, but it ended up being a delight. You’re a fallen angel who has to get back to heaven, but there are a bunch of obstacles in your way (of course). There’s a puzzle where you get to make a toupee out of tarantula fur! It’s excellently translated from the original German, and very pretty as well. Read my review here and get the game on Steam. Nelly is awesome! She’s adventurous, a bird-rescuer, and has a great sense of humor. She has a bird sidekick voiced by Tom Baker. Her game is really fun too – who doesn’t love a good pirate adventure?! Read my review here and get the game on the official site or Steam. “Kelsey, isn’t this really bloody and gross?” Well, yes, but there’s something really soothing and meditative about mopping up all the blood and guts to me. I don’t know either. I can get lost in this one for hours, and it’s incredibly satisfying to look around the level after a job well done. Get the game on the official site, Steam, or Humble. I Kickstarted this one and had an awesome time with it! It’s a very sweet game, the various routes are easy to find without too much trouble, and the characters are really fun to get to know (and smooch). There’s also an element of the supernatural (there’s more than meets the eye at the cat café) that gave me even more motivation – I wanted to uncover the mystery! 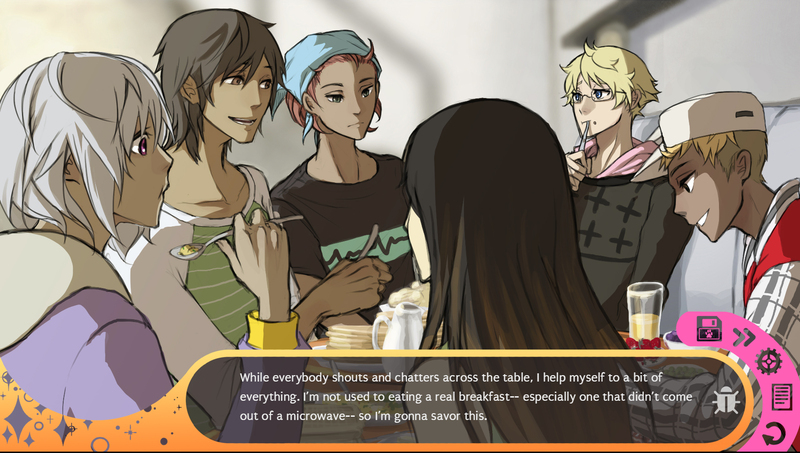 You get to customize your appearance and pronouns, which is great. Get the game on itch.io or Steam. When I was thirteen, I got Baldur’s Gate II: Shadows of Amn for my birthday. I absolutely loved it and played it approximately 2389749 times. I tried for many years to play the first game in the series, but for some reason I could never get into it as much. The Enhanced Edition not only upgraded the graphics to make the game a little easier on the eyes for today’s larger resolutions, fixed bugs, and added some new characters and quests, but also added Story Mode, which allows you to basically ignore combat and only experience the story and quests. This was a welcome addition, and as I traveled the Sword Coast, I knew this would be the time I would finish the game. I was also motivated by the wonderful Mages and Murderdads podcast by my friends Cameron and Danni – after listening to the first episode, I played for hours. I’m currently working on the Beamdog-created expansion pack Siege of Dragonspear, then it’s on to the Enhanced Edition of my favorite game of all time. Get the game on Beamdog, Steam, or GOG. If I do the math, I’ve spent 63 days on Mystic Messenger so far. I’ve finished fifteen endings and have thirty to go, not including the Christmas DLC. 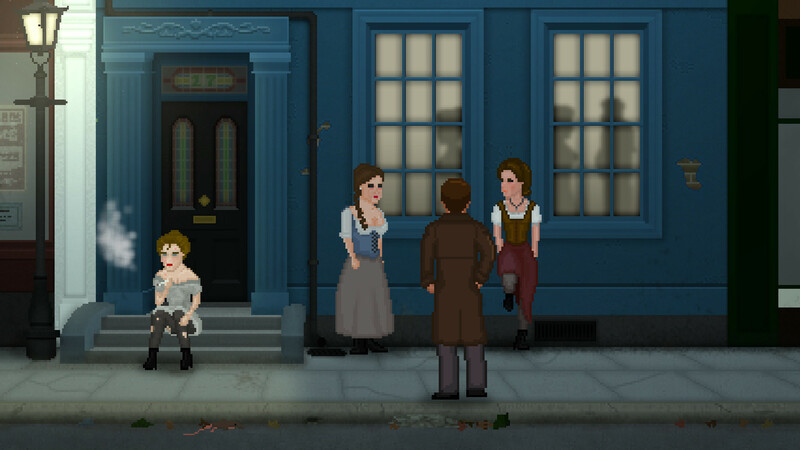 I absolutely love everything about it, from the unique user interface (you’re getting texts, calls, and group chats from the characters in real time throughout the day) to the mashup of romance and mystery. I was so excited whenever I got a new notification on my phone! There are so many surprises, and wonderful lines. It elicits genuine emotion, and I got so attached to everyone. Thank you, Cheritz, for making me smile this year. I’m sure this list will expand as I play the first games in series that I haven’t played yet (looking at you, Nier: Automata).